Jewish date: 26 Kislew 5771 (Parashath MiqQeṣ). Today’s holidays: Second day of Ḥanukkah (Judaism), Feast Day of Frances Xavier (Roman Catholicism), Feast Day of St. Godzilla (Church of the SubGenius), Feast of the Annihilation of the Prophet (Thelema). It is Ḥanukkah, the Jewish holiday famous for celebrating the victory of the Maccabees/Hasmoneans over the Syrian-Greeks and Hellenists. You can completely forget the influence Christmas has on Ḥanukkah in the US, because you will not find it here in Israel. 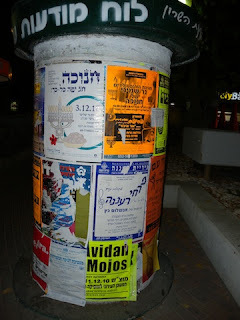 I went out the first night and walked along HashSharon and ’Aḥuzah Streets here in Ra‘ananah, deliberately looking for anything in the way of over-the-top decorations or Ḥanukkah-based advertising, and the nearest I found was posters for Megamind, which state “[For] Ḥanukkah in the cinema” at the top. 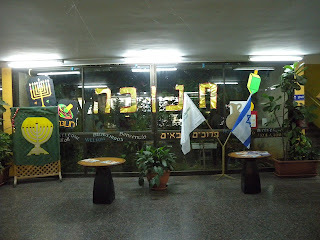 I did see some some menorahesque decorations along one street in Yerushalayim when I went to a wedding recently, but they were pretty sedate compared with anything in the US and very tasteful. There have been zero mentions of “Ḥanukkah presents”, but plenty of mentions of jelly doughnuts and dreidls. 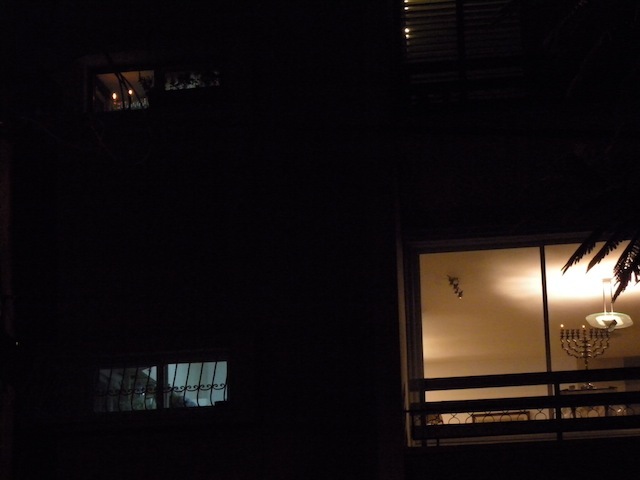 I have seen lit menoroth in windows and one like mine (a glass box thing) at a gate door. There are parties; the absorption center had one the first night, and I have seen others advertised, including one with a magician. 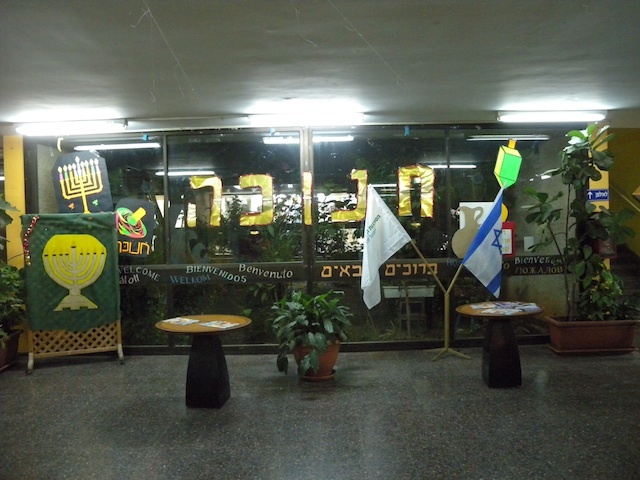 There are ads for Ḥanukkah activities posted, and here at the absorption center there are decorations, but it’s fair to say that ’tis not the season to go crazy over here. Peace, happy Ḥanukkah, and Shabbath shalom. 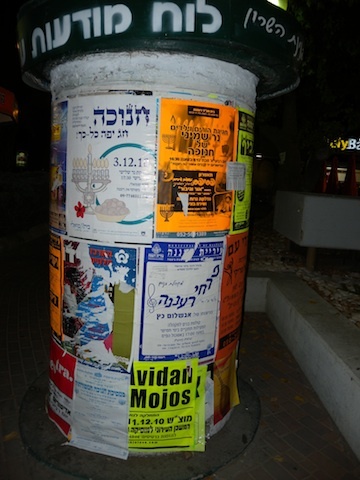 PS: Yes, I know I should have photographed the Israeli Megamind poster. I plan to get around to it.